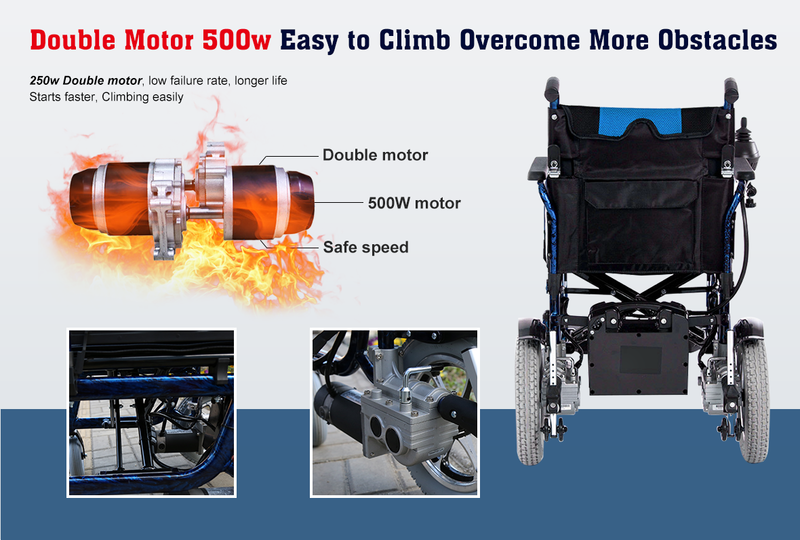 History of the Wheelchair - electric wheelchair China Manufacturer Suzhou Wofftown Co.,Ltd. The earliest records of wheeled furniture are an inscription found on a stone slate in China, dating between the 6th and 5th century BCE. The first records of wheeled seats being used for transporting disabled people date to 3 centuries later in China; the Chinese used early wheelbarrows to move people as well as heavy objects. A distinction between the two functions was not made for another several hundred years, around 525 CE, when images of wheeled chairs made specifically to carry people begin to occur in Chinese art. 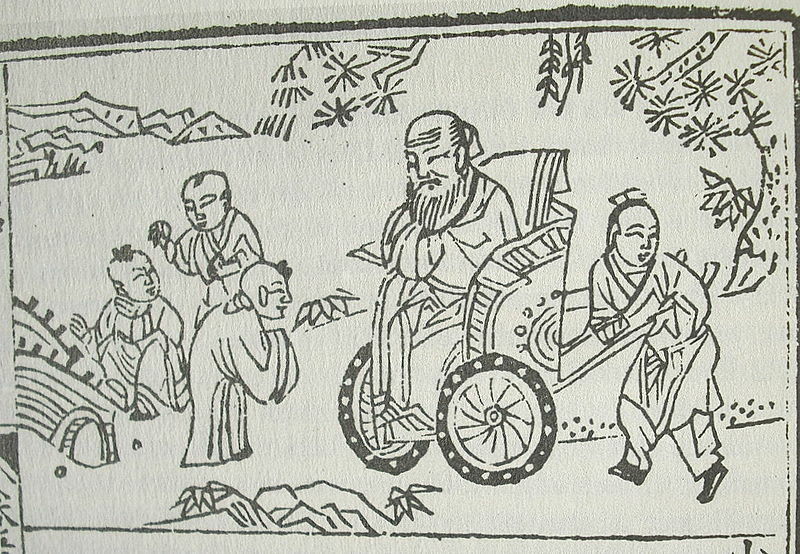 The above picture depiction of Confucius in a wheelchair, dating to ca. 1680. The artist may have been thinking of methods of transport common in his own day. Although the Europeans eventually developed a similar design, it is still uncertain as to what can be considered the first wheelchair, or who invented it. The first known dedicated wheelchair (invented in 1595 and called an invalids chair) was made for Phillip II of Spain by an unknown inventor. In 1655, Stephen Farfler, a paraplegic watchmaker, built a self-propelling chair on a three wheel chassis. In 1783, John Dawson of Bath, England, invented a wheelchair named after the town of Bath. Dawson designed a chair with two large wheels and one small one. The Bath wheelchair outsold all other wheelchairs throughout the early part of the 19th century. However, the Bath wheelchair was not that comfortable and during the last half of the 19th century many improvements were made to wheelchairs. An 1869 patent for a wheelchair showed the first model with rear push wheels and small front casters. Between, 1867 to 1875, inventors added new hollow rubber wheels similar to those used on bicycles on metal rims. In 1881, the pushrims for added self-propulsion were invented. In 1900, the first spoked wheels were used on wheelchairs. In 1916, the first motorized wheelchair was manufactured in London. In 1932, engineer, Harry Jennings, built the first folding, tubular steel wheelchair. That was the earliest wheelchair similar to what is in modern use today. The first wheelchairs were self-powered, and worked by a patient turning the wheels of their chair manually. Of course, if a patient was unable to do this, another person would have to push the wheelchair and patient from behind. A motorized or power wheelchair is one where a small motor drives the wheels to revolve. Attempts to invent a motorized wheelchair were made as far back as 1916, however, no successful commercial production occurred at that time. The first electric-powered wheelchair was invented by Canadian inventor, George Klein and his team of engineers while working for the National Research Council of Canada in a program to assist the injured veterans returning after World War II. Everest & Jennings, the same company whose founders created the folding wheelchair were the first to manufacture the electric wheelchair on a mass scale beginning in 1956. Currently, a power-assisted wheelchair uses the frame & seating of a typical rigid manual chair while replacing the standard rear wheels with wheels of similar size which incorporate batteries and battery-powered motors in the hubs. A floating rim design senses the pressure applied by the users push & activates the motors proportionately to provide a power assist. This results in the convenience, and small size of a manual chair while providing motorised assistance for rough/uneven terrain & steep slopes that would otherwise be difficult or impossible to navigate, especially by those with limited upper-body function. 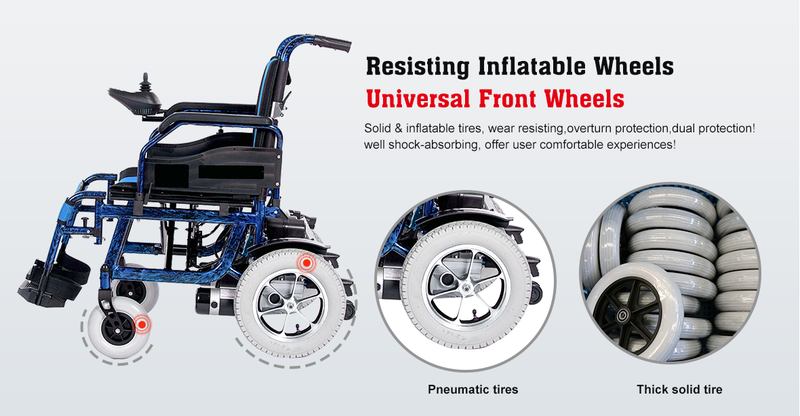 As the wheels necessarily come at a weight penalty it is often possible to exchange them with standard wheels to match the capabilities of the wheelchair to the current activity. You may check Wofftown116 for better understanding.